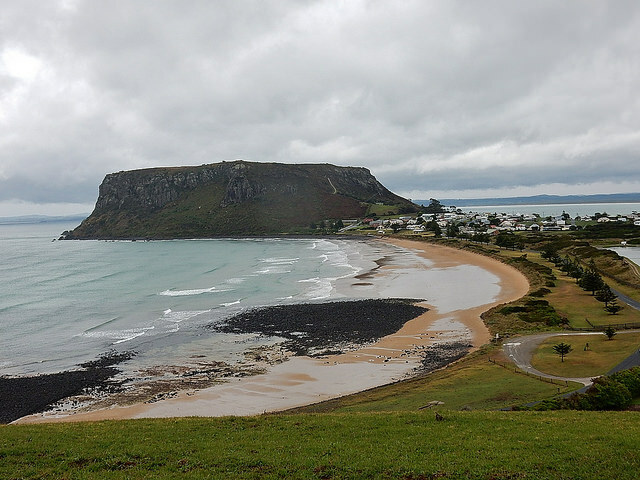 Stanley is a small town nested on a peninsula on the North-West Coast of Tasmania. There is always plenty to do in Stanley, no matter what time of year you visit. A visit to the township itself is a fantastic experience, located at the base of ‘The Nut’, the town is full of life. Stanley is the main fishing port on the north coast of Tasmania and as such the seafood is fresh and incredible and the atmosphere is always buzzing with activity. Check out the incredible Stanley Seaquarium to learn all about life under the waves and grab yourself some fresh seasonal seafood while there too. Be enthralled by the power of the Wild Southern Ocean as it crashes onto the shores – head out to The Nut. An incredible natural rock formation jutting out into the ocean known as a ‘volcanic plug. First discovered by the now famous explorers Bass and Flinders in 1798, who named it Circular Head. The Nut has steep sides and rises to 143 metres with a flat top. It is possible to walk to the top of The Nut via a steep track or via a chairlift. Make sure you also visit the Highfield Heritage House and step back in time to learn about the incredible pioneers of yore. Other popular attractions in the area include the Heritage Walk, taking a Stanley Seal Cruise or braving the skies in a chopper for an unparalleled view of the dramatic North Tasmanian coastline.